While working for an IT company I had begun to think more and more about ordained ministry and wanted to explore this calling in more depth. At the suggestion of my DDO [Diocesan Director of Ordinands] I joined the Foundations for Ministry course. It was very comforting to meet other people on a similar journey of discernment as myself. Others were exploring a range of vocations or simply wanted to better understand what it means to serve the Church in various different roles. Although we were from a wide range of backgrounds, each person arrived seeking the best way to serve God more fully and we offered each other mutual support and encourangement throughout the course. The course is run in a very professional manner and each weekly talk was thoroughly prepared and well presented. Course input included talks by the course tutors, the Bishops, pioneer ministers, theological educators and various other guest speakers. I was challenged to read widely and consider in more depth subjects such as the theology of our faith, practical ministry in a post-modern society, mission and evangelism and what it means to be part of the worldwide Anglican Communion. The group shared open and frank discussion about each of the topics and listened and engaged with one another. The title 'Foundations for Ministry' is very appropriate. The quality of the course material and delivery equipped me to continue growing through the discernment process and to be more proactive in this as well. I completed the course much better able to serve in my existing roles at my parish church and with a much clearer understanding of the many diverse ways in which people are called to serve. The course is very accessible. I had no formal theological training at all beforehand and returning to a 'studying environment' was a concern for a few others too. However, FfM is delivered in a relaxed atmosphere and is sensitively managed by very supportive staff. People with a range of skills are encouraged to grow in their understanding through reading, discussion, guided reflection and exercises. In addition, a comprehensive reading list is provided for each topic which is very helpful for further study. 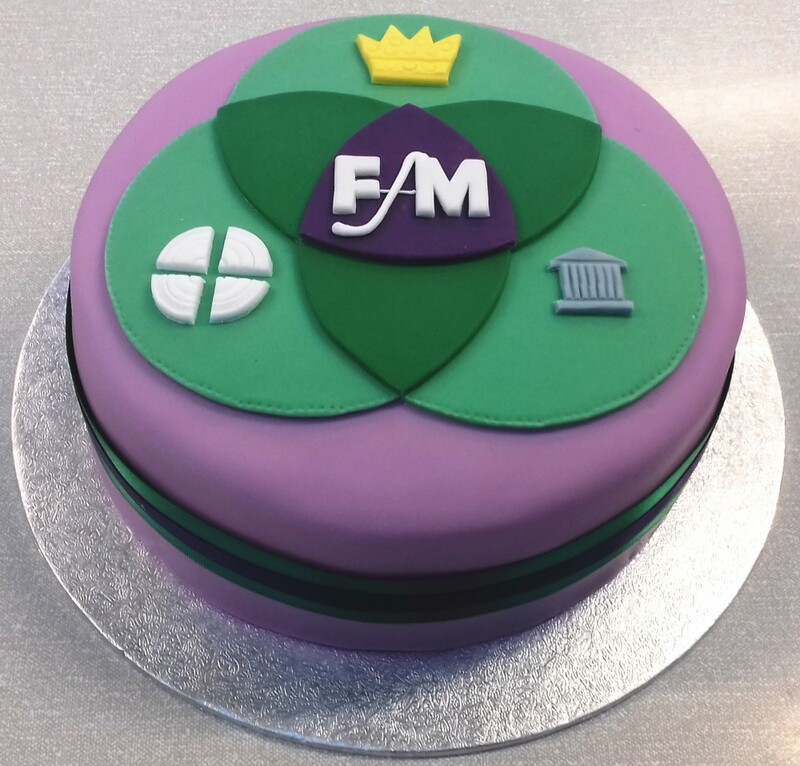 FfM was a very formative, nurturing and rewarding experience at a time when I was unsure about the sort of ministry to which I was being called. I appreciate much more the breadth and depth of the Church and am much better able to engage with other parts of it and with the wider community as well. Recently I was recommended for training by a Bishops Advisory Panel and will begin training for ordained ministry at Ripon College Cuddesdon in September this year. I would strongly recommend FfM as a significant step in the journey for anyone wanting to better understand God's call to them. Foundations is lots of different kinds of lay people who want to serve God in the church and in the world. Licensed lay ministry (Readers, Pastoral Workers, Parish Nurse, Church Army and more). The course is open to anyone who wants to grow and develop in Christian ministry. It is not a basics course, so it is expected that will you have some background in Christian life and thinking. Often it is useful for people to do Foundations for Ministry after some other course of Christian learning (e.g. the Doorway course, Bishop’s Course in Faith and Life, Emmaus, Alpha, adult confirmation course, etc). Foundations for Ministry is a course about applying the Bible and Christian thinking to ministry in the church and the world – it is not a course mainly about how the Bible fits together, so it is expected that people have some of that material under their belts before they come on the course. All applicants will already be actively involved as Christians in serving God through the church and in their lives. We ask that anyone applying discuss it with their church's incumbent and gain their approval and backing for doing the course. Foundations is also the required "first-step" course for those going on to Reader and Pastoral Worker training. It provides an introduction to skills and learning that helps people take full advantage of that further training. As well as the course content, what many people learn the most from on the course is each other. Foundations is designed as a course where people from different parishes can meet together to learn from and encourage each other. Over the years we have run the course, the small group work has been a place where people make some firm friends and learn more about themselves and each other in a supportive and prayerful environment. The course consists of 24 evening sessions, spread over three terms from September to May (eight evenings per module, 7.30pm-9.30pm). There is also an induction day at the start of the course in September, and two days on ministry which are on Saturdays. small group time. This involves discussion, reflection, practical exercises, personal sharing and prayer. You will be expected to take part in discussion and various exercises – come prepared to be involved. You will also be expected to do about an hour of linkwork between sessions, which feeds into the group discussion. by attendance plus assessed writtend work and registration for the University of Chester's CUC (Ministry) award. Completion of the CUC Ministry is an essential requirement for those intending to become licensed Readers or Pastoral Workers. Most people choose to follow the assessed work pathway. There is a choice of different assignments, including reflections on what you are learning on the course, group based exercises, parish-based projects and more. There is a total of six pieces of written work to complete the assessed course. We offer study skills help for people who haven’t done this sort of thing before, or haven’t done it in a long while. Resources to help you are available at the sessions and via the Internet. Internet access and competency using Microsoft Office are needed to make best use of the course. What do I get at the end of it? Everybody who does the course gets a certificate of completion. The assessed pathway is validated by the University of Chester. On successful completion of the course you will be awarded the Church Universities’ Certificate in Ministry — a nationally recognized award — which allows you to take those credits on into further study. Application forms can be obtained from the Committee and Ministry (CfM) office at Church House. These need to be returned, with payment, by July in the year of commencement of the course. Please note the deadline for applications is 31 July in each year, although all places may be filled well before then. We will always consider applications received after the deadline. If you are accepted by your parish and the Diocese to train as a Pastoral Worker or Reader, you will definitely be given a place on the course as it forms the first year of your training. However, these ministries have a selection process in place. Each small group is led by an experienced small group leader. The Saturday events during each term are held at Church House in Daresbury.